The leadership is the core of a Legion. As a Legion Leader, if you need more members to join in the leadership, you can directly appoint the proper one honor positions. 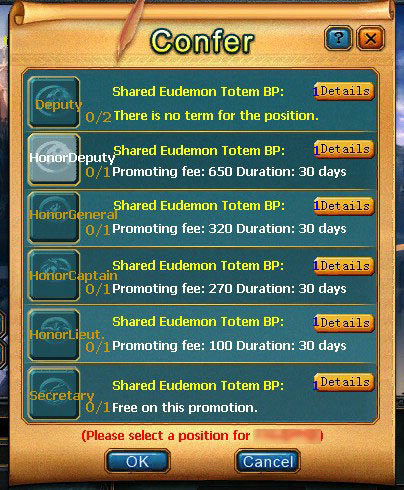 Honor positions don't have to meet the contribution ranking requirements. 1. 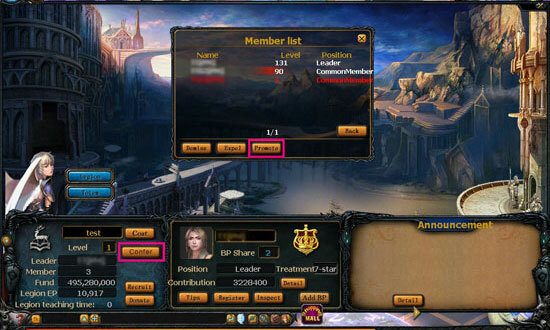 Click "Confer"(Or click "Legion" >> Organization >> Members) >> Choose the online member you want to appoint >> Click "Promote"
Select a position for the member you want to promote and click "OK". 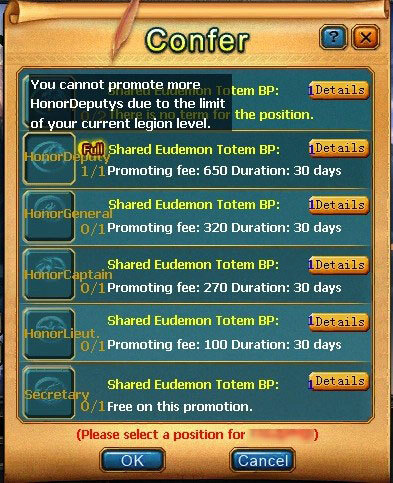 If all honor positions are already filled, you should upgrade your Legion first to appoint more honor positions. 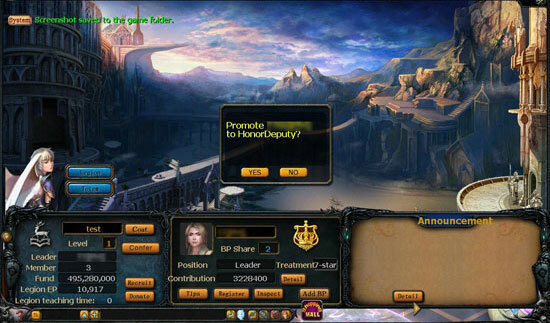 For example, you can appoint 2 Honor Deputies when the Legion is above level 6.